The reality is, there’s so much noise on the internet and in the marketplace that it’s very difficult to stand out, get seen, attract clients and get paid. Well, not anymore! 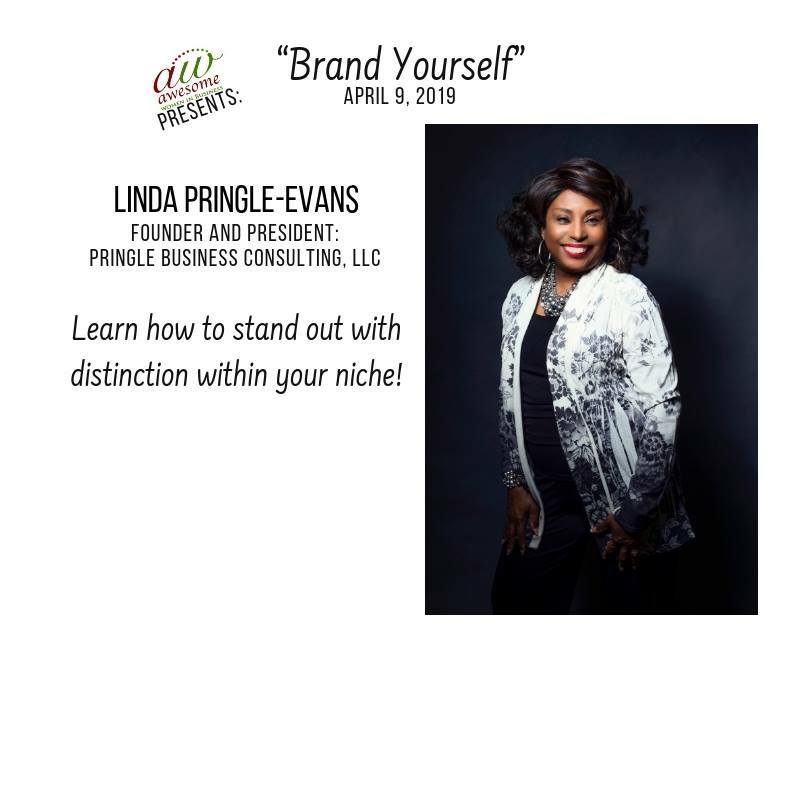 Linda Pringle Evans is the founder and president of Pringle Business Consulting, LLC. She is a brand extraordinaire and business consultant serving professional women, entrepreneurs and small-medium sized companies to build personal and business brands to revel their uniqueness and differentiation from competitors. Linda has an intuitive gift that allows her to tap into her client’s innate abilities, gifts, talents and strengths to develop a distinctive brand and business. Linda’s clients become branded with an undeniable image as an authority within their industry. Therefore, impacting the growth and sustainability of ones business for increase sales and profits. Linda is a professional advisor for members of The Women’s Business Center. She was the recipient of “Advisor of the Year 2017 Award” from Increase CDC. ***Don’t forget, LUNCH WILL BE SERVED!